Which foods help improve hemoglobin levels in the body? 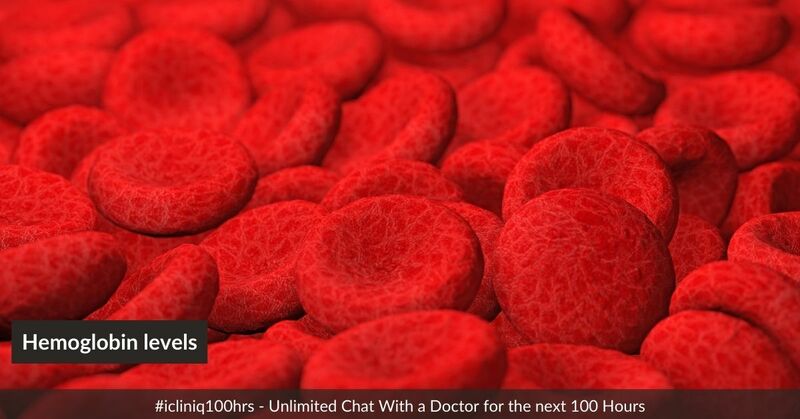 iCliniq › Ask a doctor online › Answers › Family Physician › Haemoglobin › How to increase hemoglobin levels in my body? Q. How to increase hemoglobin levels in my body? Answered by Dr. Jaydeep Tripathy and medically reviewed by iCliniq medical review team. I am anemic. How to increase hemoglobin levels in my body? Which fruits should I take? • I am severely anemic, and the right lymph node in my neck is painful. Is it cancer? • My son's ferritin is low, and he is an athlete. Should he take iron supplements? • I am severely anemic.Kindly help. If your hemoglobin is below 10g/dL, then iron supplements have to be taken once daily. Syrup Ferritin is a good choice. A healthy diet will definitely help in elevating your hemoglobin level very soon. Have three meals a day with adequate fruits and soups in between. You can have more corn, pomegranate, watermelon, sprouts, green leafy vegetables such as spinach, broccoli, etc. If you are a nonvegetarian, you can take more of lean meat (grilled chicken) and boiled eggs. Revert back with your hemoglobin reports after four weeks.